FASHION // Another Interview with Tom Ford! This seems to be the Tom Ford's month at My Black Boudoir (as usual?)! 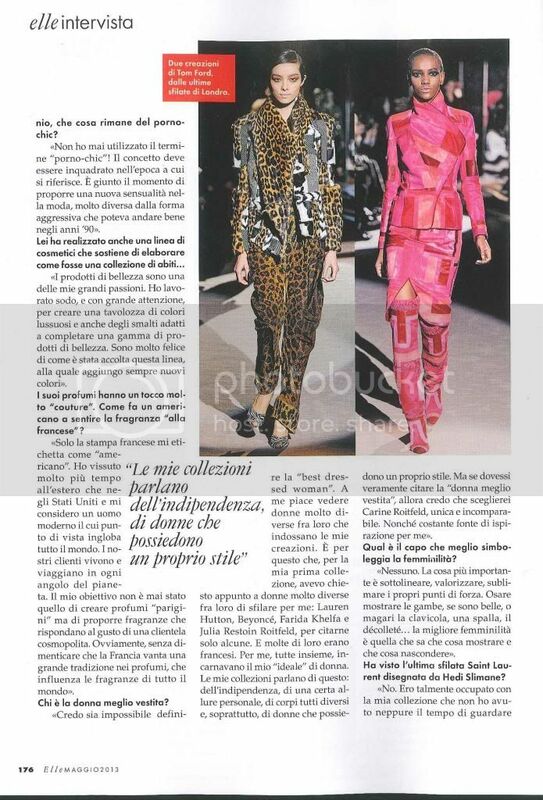 Enjoy an interview with Tom Ford published on Elle Italy, May 2013 issue.